On behalf of the Organizing Committee, I am honored and delighted to welcome you to participate in the Pharmaceutical Summit and Expo organized by OMICS group Conferences, in New Delhi, India, during October 8-10, 2015. The Summit provides a forum for presentation, discussion, and exchange of state-of-the art information including the latest research and development in the field of Pharmacy by bringing together Researchers, Scientists, Professionals, Academicians, Students and Entrepreneurs from various fields all over the world under one roof. I am confident that such collaborative interaction among the members will lead to build a long-term partnership between teaching & research institutions with industrial sectors. Looking forward to welcome you at the Pharmaceutical Summit and Expo 2015. Pharmaceutical Summit and Expo organized by OMICS group Conferences, in New Delhi, India, in October 8-10, 2015. I am very delighted to lean that the OMICS group is organizing the Pharmaceutical Summit and Expo, in New Delhi, India, in October 8-10, 2015. Pharmacy is a multidimentional science that caters for preparing and dispensing drugs. It is a health domain that bridge health sciences with chemical sciences and aims to ensure the safe and effective use of pharmaceutical drugs. 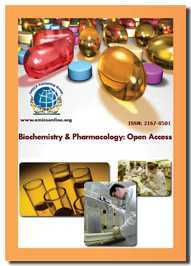 Pharmaceutical science is an ever-growing research and scientific domain which includes various subdomains/sectors such as, but not limited to, Pharmaceutics and Novel Drug Delivery Systems, Pharma Analytical Techniques and Instrumentation, Current Trends in Pharmacology, Nanotechnology, Biomarkers in Pharmaceutical Development, Pharmacognosy and Phytochemistry, Pharmaceutical Regulatory Affairs, Pharmacovigilance and Cosmetovigilance, GMP, GCP and Quality control, Pharmacy Practice and Medicinal Chemistry. I hope that this conference will provide an exciting platform/venue to share new knowledge and ideas between universities, research institutions and industries which could translate into new advances and breakthrough towards the discovery and development of new drug leads. On behalf of organising committee, it gives me great pleasure to welcome all participants from all pharmacy-related disciplines to enjoy a rich, varied and attractive scientific and cultural program. It is our greatest pleasure to welcome you to the “Pharmaceutical Summit and Expo” during October 08-10, 2015 in New Delhi, India. OMICS International majorly organizes Pharma Conferences emphasizing on recent areas of more optimized research and innovations. Pharma Summit-2015 will bring together top dynamic pharmaceutical representatives under one roof that will address the key issues of the global market. It is a scientific platform to meet fellow key decision makers all-around the Academic Institutions, Healthcare Institutes, Pharmaceutical, Biotech, CROs supply chain, Logistics practitioners making the congress a perfect platform to share experience, foster collaborations through the research talks & presentations to put forward many thought provoking strategies. More than any other industry, the pharmaceutical sector is highly dependent on its R&D and Market segment. The pharmaceutical industry is responsible for the development, production and marketing of medications. Thus, its immense importance as a global sector is evident. After a long period of strong US market dominance, the UK, and Europe as a whole, are facing increasing competition from emerging economies, such as China, Brazil and India. The total level of pharmaceutical revenue worldwide had reached nearly one trillion U.S. dollars. This pharmaceutical summit helps for young researchers by giving them a chance to present their work and conjointly offers moment to share and seeking advices from experts from their respective fields. OMICS International is a world class conference organizer, which have highly talented conference organizers around the globe. We have 30,000 editorial board members for OMICS Group journals and we are going to organize 300+ scientific conferences in year 2015. We publish more than 500 Open access journals for which we have more than 1 million readers and we follow strict review process and published within 7 days. We endeavor to support and organize a variety of conferences throughout the year as educational opportunities to update knowledge and skills. To know complete details about the conferences visit Pharmaceutical conference series. This Pharma Summit and Expo is the conference is a scientific platform to meet fellow key decision makers all-around the world. The field of Pharmaceutics is the major discipline in the Pharmacy in which the pre formulation studies and accelerated stability studies included. Novel drug delivery systems is the method by which a drug is delivered can have a significant effect on its efficacy. The major challenges and the recent advances in the targeted drug delivery systems make an important role in the Novel drug delivery systems. The Lipid and Vaccine drug delivery systems and Nanotechnology are also included in this topic. Pharma Analytical Techniques are mainly important for manufacturing a medicine. Validation process should be done in every technique. Analytical method development and validation, Analytical IQ, OQ and PQ are to be known in the analysis of pharmaceutical product. Qualitative & quantitative elemental analysis and the current trends in gravimetric analysis will be included in the analytical techniques. There are many techniques like UPLC and HPLC techniques, Electroanalytical methods and Surface characterization techniques for chemical & physical analysis. Pharmaceutical Expo discusses about all the analytical techniques and instrumenttion that are used for the manufacturing medicine. The recent studies and the current trends in the Pharmacology are discussed. It starts with Clinical pharmacology in which it is the science of drugs and their clinical use. Recent advances in neuro and psycho pharmacology and the recent toxicological studies and its issues are discussed for the effective knowledge in the branch of Pharmacology. Pharmacogenetics has been defined as the study of variability in drug response due to heredity. Most recently pharmacogenomics has been introduced with the Pharmacogenetics. 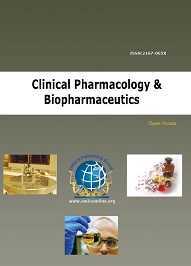 Current advances in the pharmacology and physiology of trp channels plays a major role in the Pharmaceutical Industry. Nanotechnology is being employed in the pharmaceutical field for many reasons, but perhaps the leading goals are to improve drug solubility/bio-availability and/or delivery to various sites of action. Nanotechnology is also being employed to develop new and improved therapeutic devices. New development in nanotech inventions, patents and patent applications and Nano biomaterials and biopharmaceuticals is the major topic in the Nanotechnology. Bio nanotechnology and bio MEMS, NEMS, nanoscale materials, Molecular nanotechnology and Nano-mechanisms for molecular systems plays a major role in the Nanotechnology. Safety implications and Consumer product applications of nanotechnology can be a part of the Nanotechnology track. The recent challenges and approach for biosimilars in the biopharmaceutical industry will be discussed. The Clinical studies and the biosimilars innovator in the Pharmaceutical products can be known by the Clinicians for the research in the future of next generation biosimilars. The another major topic in the pharmaceutical industry Biomarkers in which the recent Biomarker research, development and technology, measurable parameters for customized therapies will be discussed. The biomarkers are distinguished into Disease-related biomarkers which give an indication of the probable effect of treatment on patient and Drug related biomarkers indicate whether a drug will be effective in a specific patient and how the patient’s body will process it. The recent advances and the future scoipe will be diuscussed in this global pharma summit. Pharmacognosy and Phytochemistry will be discussed to impart knowledge alternative systems of medicine as well as modern pharmacognosy. The drugs from natural products, crude drugs and plant products its availability and toxicological studies are discussed. Pharmacognosy practice in the industry and the documentation procedures for the herbal drugs are the important to know according to the guidelines. Phytochemistry is the study of phytochemicals and the subfield of Botany and Chemistry. The Analytical Techniques and Constituents elements in the phytochemistry (Phytoconstituents) are the major topic to be known in the field of phytrocemistry. It would serve as a valuable resource of information to other botanical and healthcare science students, researchers and industrialists in the field of herbal medicine. So the delegates from the field of Pharmacognosy and Phytochemistry from all over the world can attend this Pharmaceutical Expo India to explore the Research. The regulatory affairs Regulatory affairs also has a very specific meaning within the healthcare pharmaceuticals industries. It includes Regulatory requirements for pharmaceuticals and health care products, Intellectual property law for generics and innovator rights. Regulatory requirements for medical devices, Regulatory issues, quality control and business development and Novel strategies for growth in regulatory affairs are to be discussed. Intellectual property rights are also included. Pharmacovigilance also known as Drug Safety, is the pharmacological science relating to the collection, detection, assessment, monitoring, and prevention of adverse effects with pharmaceutical products. Cosmetovigilance is the ongoing and systematic monitoring of the safety of cosmetics in terms of human health. The Drug safety and efficacy methods, Detection of adverse effects and other drug related problems and Pharmacoepidemology and drug safety comes under the Pharmacovigilance. Cosmetovigilance includes Safety monitoring of medicinal products, Ongoing and systematic monitoring of the safety of cosmetics and implimentation of cosmetovigilance system. Good Manufacturing Practice is that part of quality management which ensures that products are consistently produced and controlled according to the quality standards appropriate to their intended use and as required by the marketing authorization, clinical trial authorization or product specification. Current good manufacturing practices guidelines, Current regulations and quality standards are included. 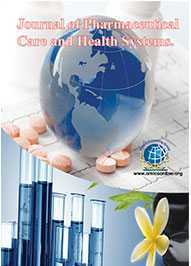 The role of Quality Impact Assessment & effectiveness checks is an essential operation of the pharmaceutical industry. CGMPs provide for systems that assure proper design, monitoring, and control of manufacturing processes and facilities. Management of product storage, transportation and distribution are the major ascepts in the GMP practices. Pharmacy practice is the discipline of pharmacy which involves developing the professional roles of pharmacists. Ethics in pharmacy is also very important for the any Pharma Practitioner weather they are from industry or from research institutes or Hospital Pharmacists. The scope, new dimensions and global standards of Pharmacy practice can also be included in Pharma Summit. The recent advances and the new drug applications and fundamental drug development can help the Pharmacy practice for the implementation of new drugs. Clinical pharmacy is a branch of pharmacy which deals with the patient care and medication and promotes health, wellness and disease inhibition. Clinical Pharmacy includes all the services performed by pharmacists practising in hospitals, community pharmacies, nursing homes, home-based care services, clinics and any other setting where medicines are prescribed and used. Role of clinical Pharmacist, Clinical Pharmacy and its key role in treatment can be discussed. Dispensing pharmacy includes the preparation, packaging, labeling, record keeping, and transfer of a prescription drug to a patient or an intermediary. Pharmacotherapy and Environmental health hazards are also discussed. Medicinal chemistry and pharmaceutical chemistry are disciplines at the intersection of chemistry, especially synthetic organic chemistry, and pharmacology and various other biological specialties, where they are involved with design, chemical synthesis and development for market of pharmaceutical agents, or bio-active molecules (drugs). Current developments in medicinal chemistry, Diagnostic and bioinorganic medicinal chemistry are to be discussed. It includes Green techniques for organic synthesis and medicinal chemistry. Drug discovery is the process through which potential new medicines are identified. It involves a wide range of scientific disciplines, including biology, chemistry and pharmacology. It includes Advances in Drug discovery, recent advances in fluorinated pharmaceuticals based on natural products. Plant and microbial derived drugs in Drug discovery are also discussed. Market Analysis: Pharma Summit will bring together top dynamic pharmaceutical representatives under one roof that will address the key issues of the global market. Indian Pharma Summit is a scientific platform to meet fellow key decision makers all-around the Academic Institutions, Healthcare Institutes, Pharmaceutical, Biotech, CROs supply chain, Logistics practitioners making the congress a perfect platform to share experience, foster collaborations through the research talks & presentations to put forward many thought provoking strategies. The Indian pharmaceuticals market is expected to expand at a CAGR of 23.9 per cent to reach US$ 55 billion by 2020. 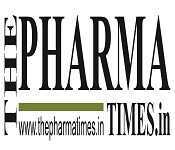 India has achieved an eminent global position in pharma sector. The country also has a huge pool of scientists and engineers who have the potential to take the industry to a very high level. The Indian Pharmaceutical market (IPM) is highly fragmented with about 24,000 players (330 in the organised sector). 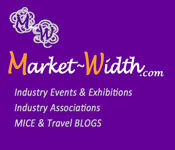 The market is dominated majorly by branded generics which constitutes of nearly 70% to 80% of market. The domestic pharmaceutical market in India has grown at a CAGR of nearly 12% in the last five years. 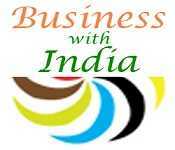 The product patent regime will encourage the Indian companies to invest more in Research and Development.